SmartLinx, a leader in workforce management solutions, today has revealed the completion of a major rebranding effort, culminating in the relaunch of its website, smartlinxsolutions.com. 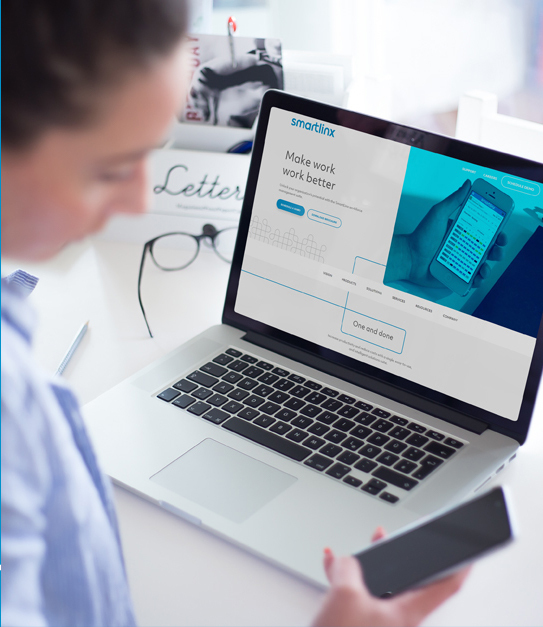 SmartLinx, a leader in workforce management solutions, today has revealed the completion of a major rebranding effort, culminating in the relaunch of its website, smartlinxsolutions.com. This strategic initiative follows the company’s recent major software release, SmartLinx 6, and brings to life its empowering philosophy to optimize human potential. Site visitors can find content in a variety of ways: by product, by their role in the organization, or by their organization’s goals. A resource hub offers free access to industry-relevant, on-demand webinars, podcasts, infographics, and articles, covering all facets of workforce management — from staffing and engagement challenges to compliance and regulatory updates. Throughout the site, short videos offer insights into how the SmartLinx solutions suite has made an impact for thousands of customers and their employees who rely on it every day. A new logo is also part of the rebranding effort. Its elements symbolize the SmartLinx approach to workforce management. The simple typeface reflects how SmartLinx simplifies complex tasks and processes, and the true-blue color underscores how its solutions bring clarity to users. SmartLinx optimizes performance through a single, unified workforce management suite that makes work, work better. We partner with organizations to simplify the complex and harness the potential of their greatest asset: people. The SmartLinx solutions suite includes talent acquisition and onboarding, human resources, benefits and payroll, time & attendance, scheduling, compliance, and business analytics. For more information, visit smartlinxsolutions.com, email hello(at)smartlinxsolutions.com, or call 877-501-1310.